2013 was the driest year in California’s history, which means we must do everything possible to conserve water inside and outside of our homes. Water conservation is not only the right thing to do, but when the Governor declared a drought emergency in January, he called on all Californians to save at least 20 percent of our water usage. Here are water wise facts and tips to help you save water and save on your water bill. Fifty percent of residential water use occurs outdoors. A 1,000-square-foot lawn uses 35,000 gallons of water per year. Some water districts offer rebates to replace sod with drought-tolerant gardens. When you save water, you can save money, too. 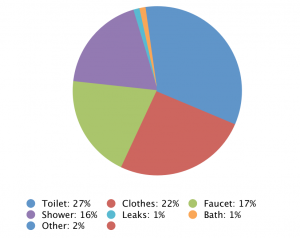 Inefficient toilets, washing machines, and leaks waste the most water in your home. Some water districts offer rebates to replace inefficient appliances with efficient ones.